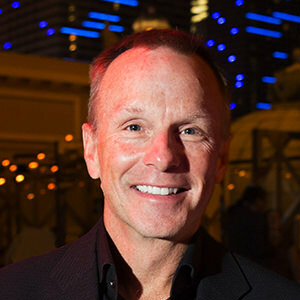 Kirk Hadsell has helped SCA capture tremendous market share by outperforming almost everyone in the gaming industry. As SCA’s top sales producer, Kirk understands that high-impact casino promotions are the key to resounding success for both SCA and its clients. Kirk is often invited to speak at industry functions and touts his own favorite maxim: “Stay positive and be grateful.” And, judging by the results he delivers, he’s on to something. Hadsell has an impressive background in sales and, prior to joining SCA over two decades ago, he served as a sales rep for Reebok Athletic Footwear and Nike Golf. When Kirk isn’t assisting casinos achieve record success by attracting, entertaining and rewarding their players, he can be found on the golf course where he ardently pursues his goal of breaking 70. Kirk is also passionate about duck hunting and Labrador Retrievers. He holds a B.A. in Marketing from the University of Texas at Austin.